Did Ukraine try to interfere in the 2016 election on Clinton's behalf? What are the claims about Ukrainian meddling in the election? Some conservative personalities within and without the White House have been talking a lot lately about the links between Ukraine and Hillary Clinton's campaign. Their relationship was exposed by Politico reporter Ken Vogel, who has since moved to The New York Times, back in January. But some on the right are talking about it again in defense of Donald Trump Jr., who has been roundly criticized for meeting with a Kremlin-linked lawyer in the hopes of getting dirt on Clinton from the Russian government. White House Deputy Press Secretary Sarah Huckabee Sanders brought up the Ukrainian story on Monday. "If you're looking for an example of a campaign coordinating with a foreign country or a foreign source, look no further than the DNC, who actually coordinated opposition research with the Ukrainian Embassy," she told reporters. Sanders then reiterated the point during the Wednesday press briefing. Even Republicans who have been critical of the Trump administration over the Russia matter have recently talked about the story. On Wednesday, Republican Sen. Lindsey Graham pressed President Trump's nominee for FBI director, Christopher Wray, on whether he would look into any Ukrainian interference in the 2016 election. So what happened with the Clinton campaign and Ukraine? It wasn't so much the Clinton campaign, per se, but a Democratic operative working with the Democratic National Committee did reach out to the Ukrainian government in an attempt to get damaging information about the Trump campaign. That operative's name is Alexandra Chalupa, a Ukrainian-American former Clinton White House aide who was tasked with ethnic outreach on behalf of the Democratic Party. As Vogel reported, she knew about Paul Manafort's extensive connections to the pro-Russian regime of Ukrainian President Viktor Yanukovych, and decided to dig deeper into possible connections between Moscow and the Trump campaign. As part of that effort, she discussed Manafort with the high-ranking officials at the Ukrainian embassy in Washington, D.C. The Democratic National Committee denies that it was ever in contact with the Ukrainian government. Why did Donald Trump Jr. take a meeting with a Russian lawyer? OK, and how does Manafort fit into this? Manafort was Yanukovych's political adviser until he was deposed after the American-backed Euromaiden protests of 2014, and Chalupa suspected that he would eventually be brought aboard the Trump campaign. When her prediction proved correct and Manafort was named campaign chairman, she was suddenly much in demand within the DNC. Chalupa continued her research into Manafort and his ties to Russia, an issue that would dog Manafort until he resigned a few months later. And part of that research involved working with the Ukrainian embassy in Washington and officials in Kiev. Ukraine was worried about a Trump administration cozying up to Moscow, as Russia invaded and seized territory from Ukraine shortly after Yankukovych's ouster. Manafort, you probably recall, was also part of the meeting with Trump Jr. and the Russian lawyer, which reportedly didn't provide anything of value to the Trump campaign. Is it normal for campaigns to work with foreign governments like this? Does this Democratic effort constitute collusion with Ukraine? Depends on how you define collusion. However, as Vogel pointed out in his story, it's not really the same thing as what the Russian government apparently did to help the Trump campaign. Well, for one thing, Ukraine is so rife with corruption and internal divisions that Kiev wouldn't really be able to assist the Clinton campaign all the much. Or, rather, they certainly couldn't match what U.S. intelligence agencies believe Russia was doing. According to U.S. intelligence, Russia was involved in a multifaceted influence campaign personally supervised by President Vladimir Putin, and which utilized Russia's vast intelligence apparatus. Ukraine, a poor and disjointed country, wouldn't be able to compete on those terms even if they wanted to. So we're comparing apples and oranges here? Well, yes and no. The first major difference between the Ukrainian and Russian efforts, of course, is that only Russia can be viewed as a "hostile foreign power." 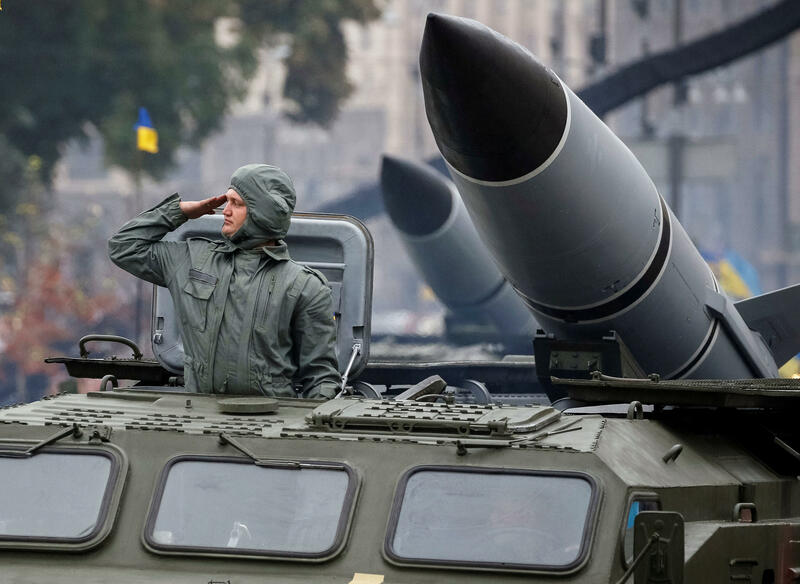 Ukraine may be a foreign country, but it's not a powerful one, and is in some ways a de facto American and NATO ally in countering Russian aggression. The second big difference, as conservative columnist Ed Morrissey pointed out this week, is that the Democrats appeared to take pains to keep all this business away from the Clinton campaign. "If nothing else, the Clinton machine understood the need for firewalls between negative-research efforts and the candidate," Morrissey writes over at The Week. Still, it's deeply unusual for an American campaign to be working with foreign assets like this, regardless of whether it's Ukraine or Russia. Not quite. Republican presidential candidate Richard Nixon has long been accused of trying to torpedo the 1968 Paris Peace Talks with the help of foreign nationals. Alternatively, Democratic Sen. Ted Kennedy may have worked backchannels in a fruitless attempt to get the Soviet government to help his party in the 1984 elections. But it's still weird, right? You bet. Although the Russian efforts to interfere in last year's election were almost certainly more sophisticated and worrying than anything the Ukrainians and the DNC pulled off, we don't expect campaigns to behave this way. Or, rather, we didn't before 2016.